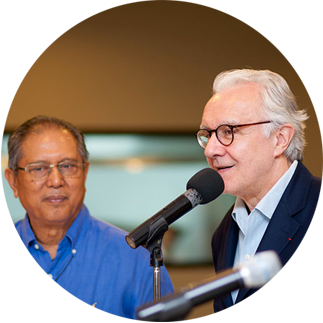 Ducasse Education Philippines will once again bring Chef Alain Ducasse as Guest of Honor in a dinner event for the benefit of Tuloy Foundation. Entitled Harvest of Hope, the event will showcase Philippine produce which will be used as ingredients for the dinner prepared by Ducasse Education Philippines’ chefs and students. As one of the leading culinary institutions in the country, Ducasse Education Philippines at Enderun Colleges lends the expertise of its world-class chef instructors to beneficiaries of Tuloy Foundation, an organization that provides shelter and education to street children. The project, Youth with a Future, aims to support and provide educational scholarships every year to a select group of culinary students of Tuloy Foundation. The beneficiaries have the first eight months of their classes in Tuloy’s culinary center. Following the eight-month program, the students are exposed to further training at Ducasse Education Philippines for three months. With the strong internship and career placement program of Enderun Colleges, the School also extends support to the students in securing internships and job opportunities. The regular internship component of Youth with A Future lasts for two to three months. A project of Alain Ducasse Education in France and Ducasse Education Philippines at Enderun Colleges, Youth with a Future was inspired by the Women with a Future initiative of award-winning chef Alain Ducasse. Women with a Future offers the incredible opportunity to a select group of underprivileged women from Paris to be trained for a year in a specially designed culinary program. The training program concludes with an apprenticeship in one of Alain Ducasse’s restaurants. Youth with a Future was launched in March 2014 through a successful charity dinner and auction held at Enderun Colleges with Alain Ducasse as the guest of honor. After which, ten scholars from Tuloy Foundation were chosen to receive culinary training for three months at Ducasse Education Philippines. In June 2014, the students graduated and were awarded with a Certificate of Culinary Arts from Alain Ducasse Education in France. Now on its fourth year, the Youth with a Future initiative has placed its graduated scholars in different restaurants and hotel properties around the globe, with the help of Enderun Colleges’ career services office and its active industry partners. Out of the 30 former scholars, one is in Ducasse Sur Seine in Paris, France, seven are employed in Four Seasons Resort Dubai at Jumeirah Beach, three in the OSM Shipping Lines, and nineteen placed in Philippine restaurants including Vask, Cirkulo, Milky Way, Cafe 1771, Tamarind Thai Restaurant, and Restaurant 101. Youth with a Future is a long-term initiative of Alain Ducasse Education in France and Ducasse Education Philippines. 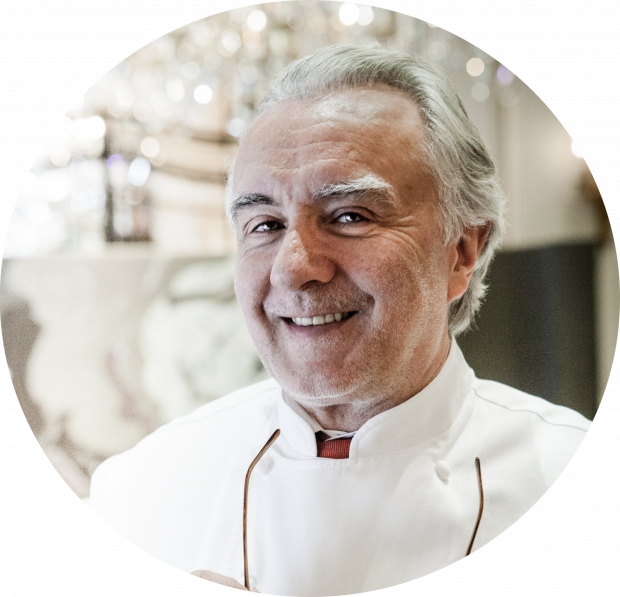 Alain Ducasse, a celebrated chef and restaurateur who holds 21 Michelin stars, established Ducasse Education in 1999 to transmit his knowledge to other professionals who, like him, aim for excellence. He expands his reach to educate the next generation of top culinary professionals with skills of high standards by opening the doors to his award-winning establishments and global networks. Ducasse Education Philippines, located at Enderun Colleges, is the first Ducasse Education outside of France and its regional hub in Southeast Asia. Its culinary and pastry art programs are led by its distinguished faculty. Through his culinary training programs, Alain Ducasse’s social responsibility projects aim to contribute to the global fight against poverty. Ducasse Education Philippines at Enderun Colleges and Ducasse Education in France jointly decided to pick Tuloy Foundation as the beneficiary of their first charity program together. Tuloy Foundation caught the attention of both institutions because of its rich advocacy, which is to reintegrate street children into mainstream society through a comprehensive program of caring, healing, and teaching. Recipients of Youth with a Future will get the chance to change their lives forever by learning the true craft of cooking from the world-class chefs ofDucasse Education Philippines. 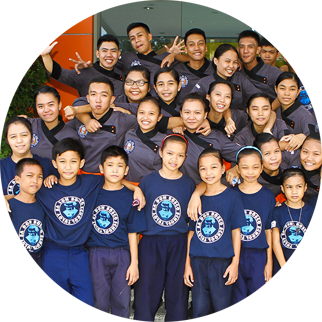 Ducasse Education Philippines' volunteer chefs and students.